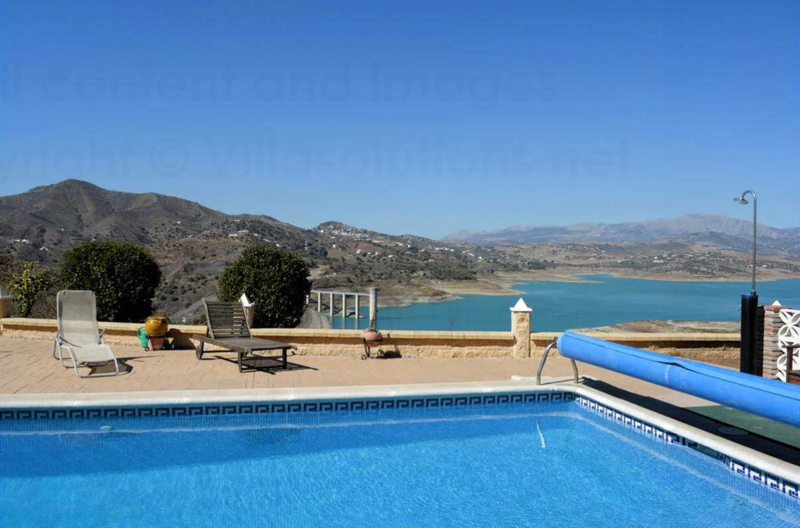 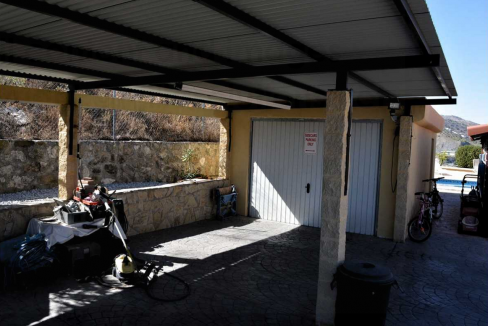 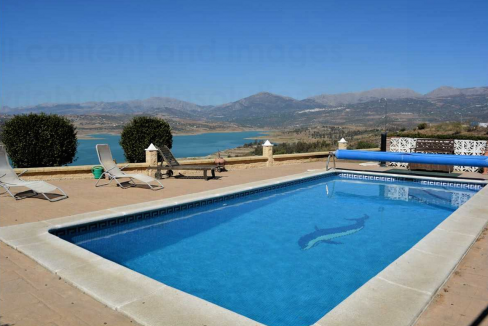 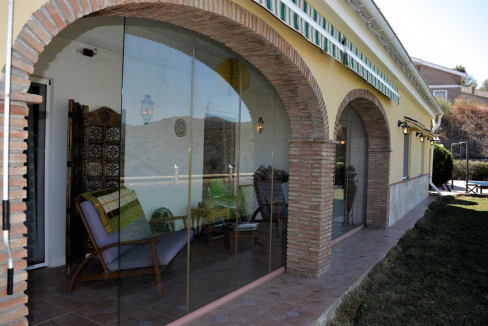 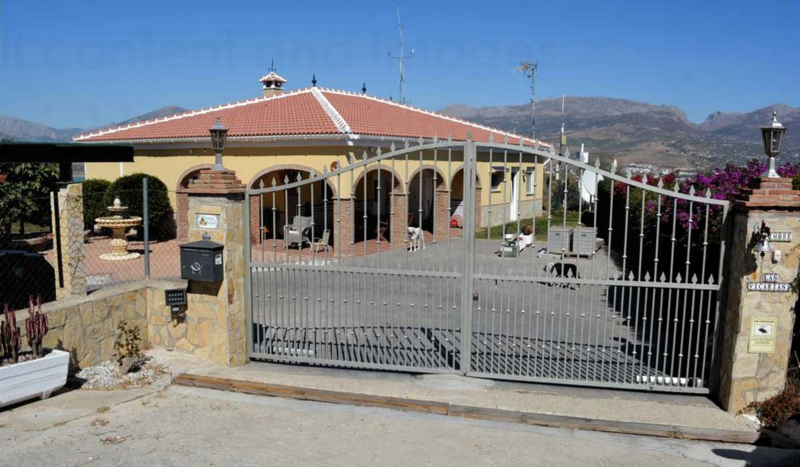 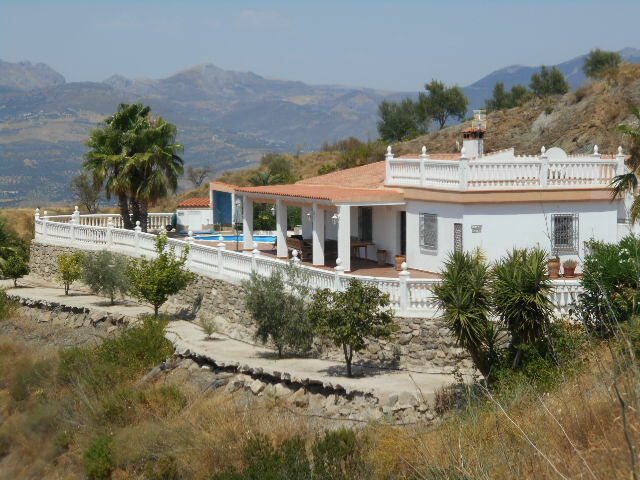 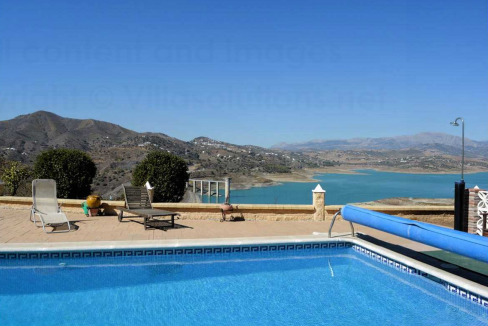 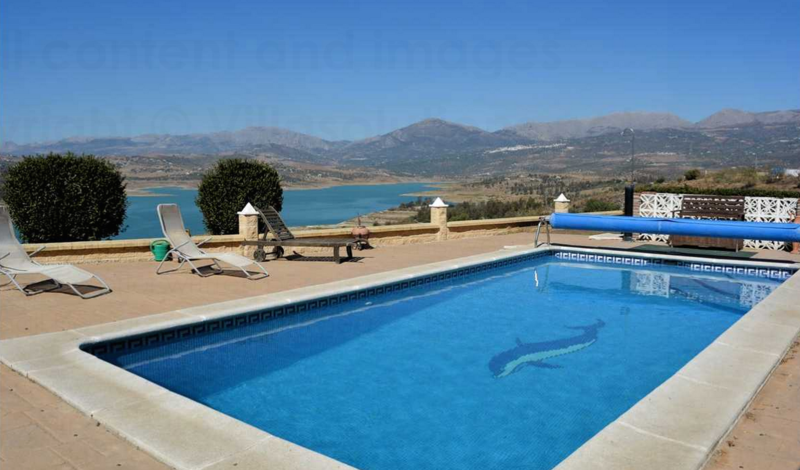 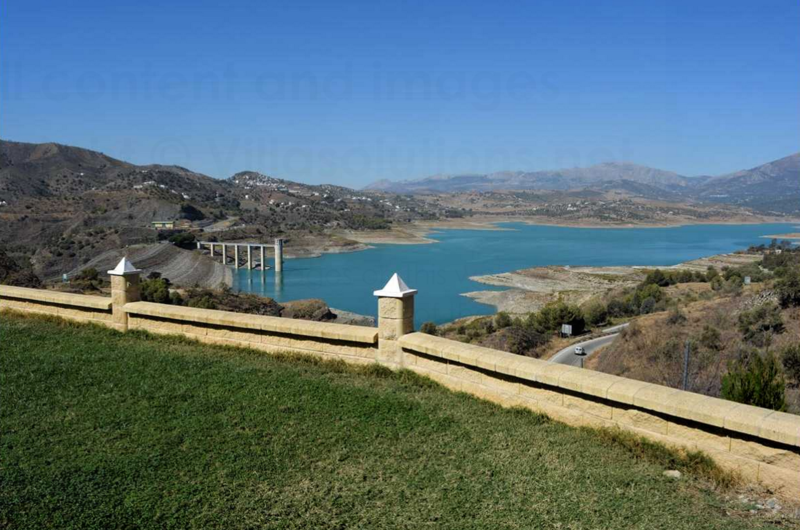 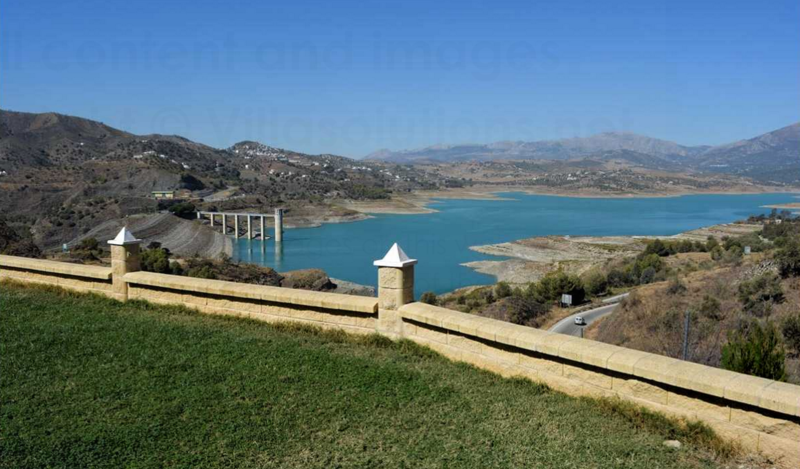 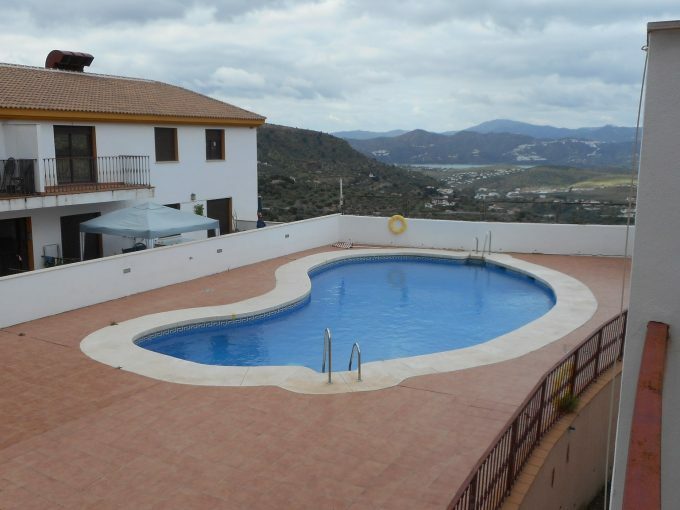 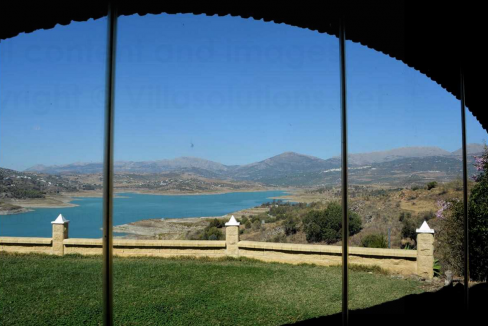 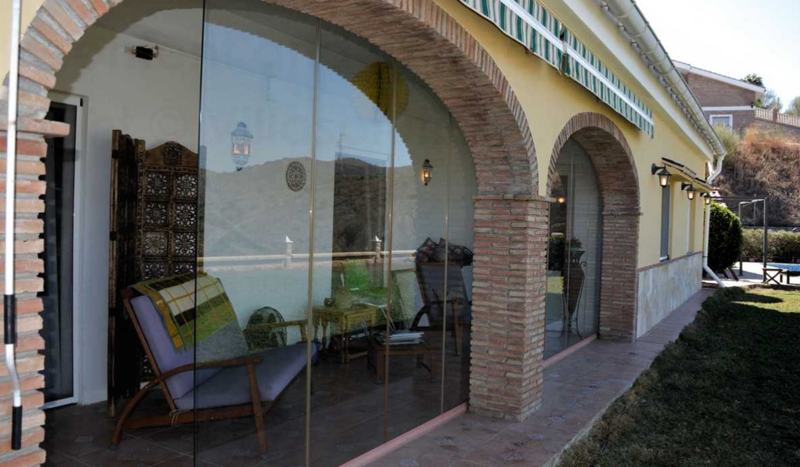 Your opportunity to purchase a German built, high standard villa with stunning views over Lake Vinuela. 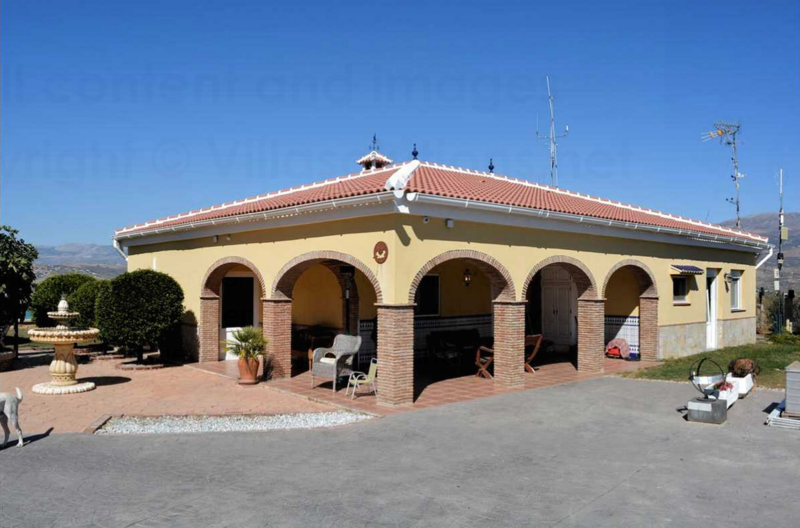 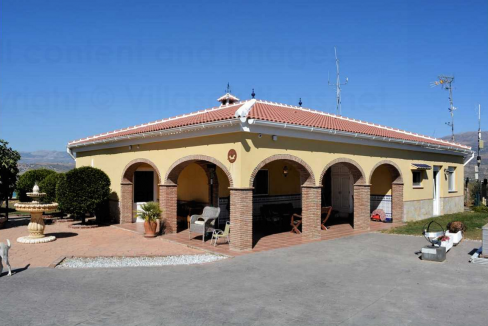 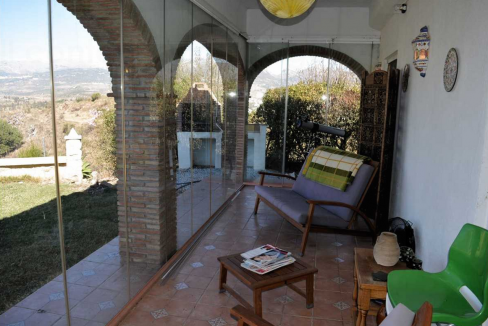 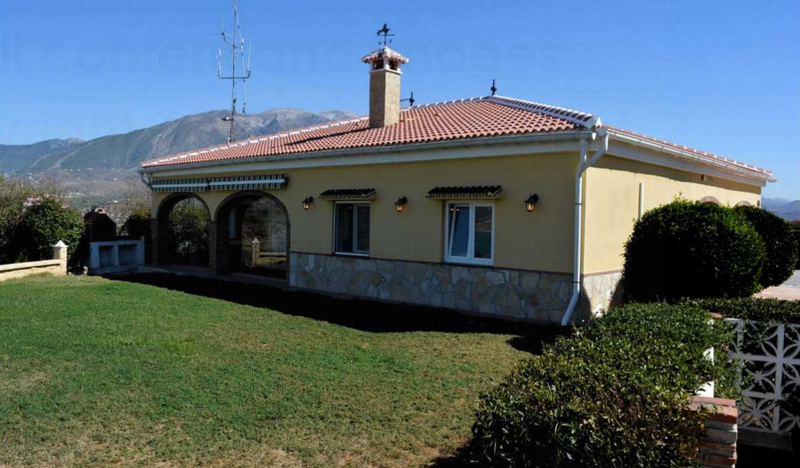 The Villa is single storey and has many extras including oversize tilt and turn windows and reinforced concrete walls. 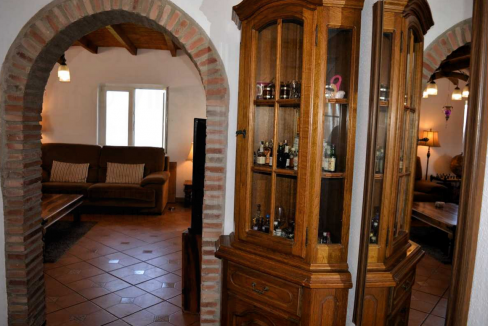 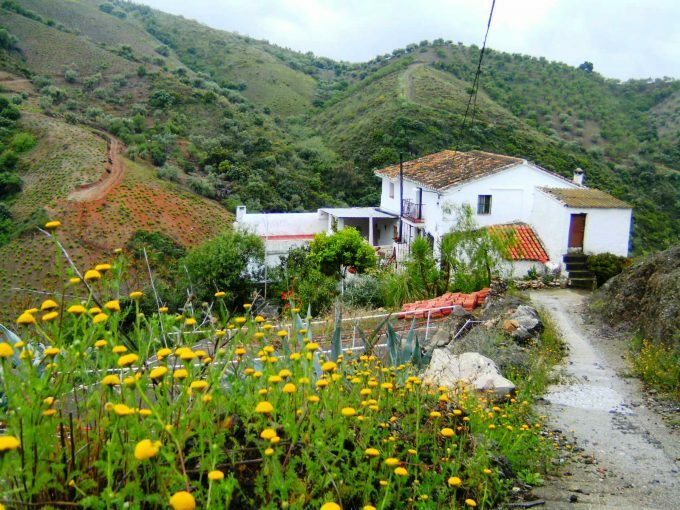 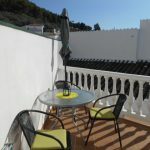 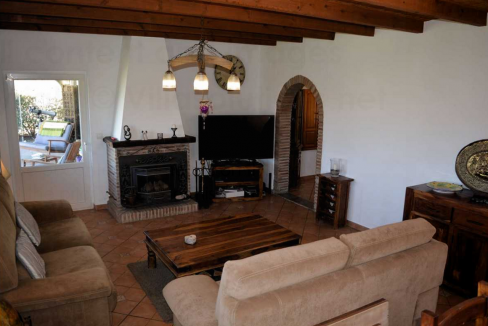 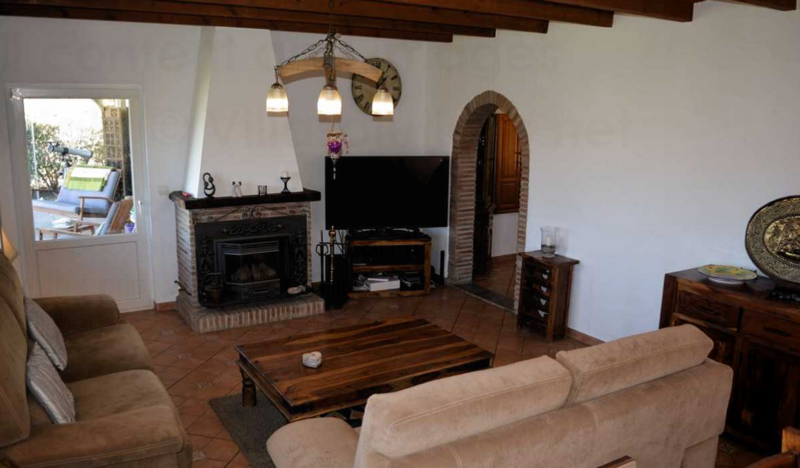 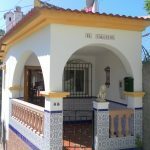 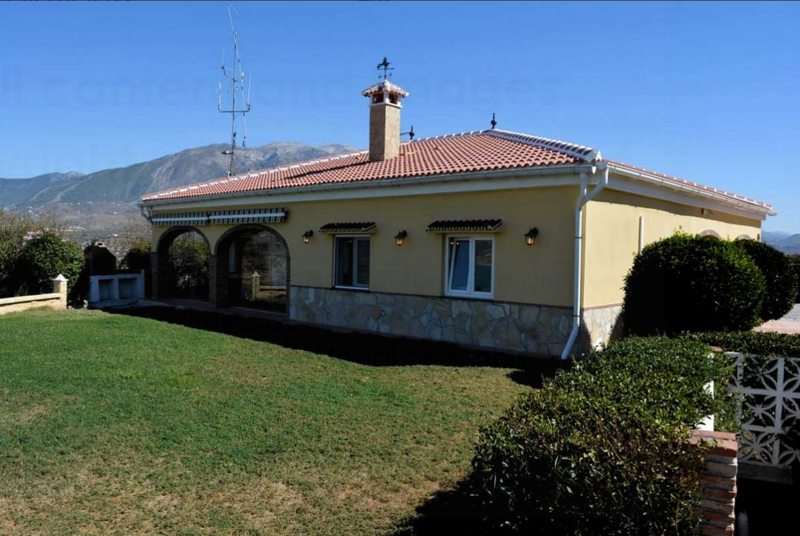 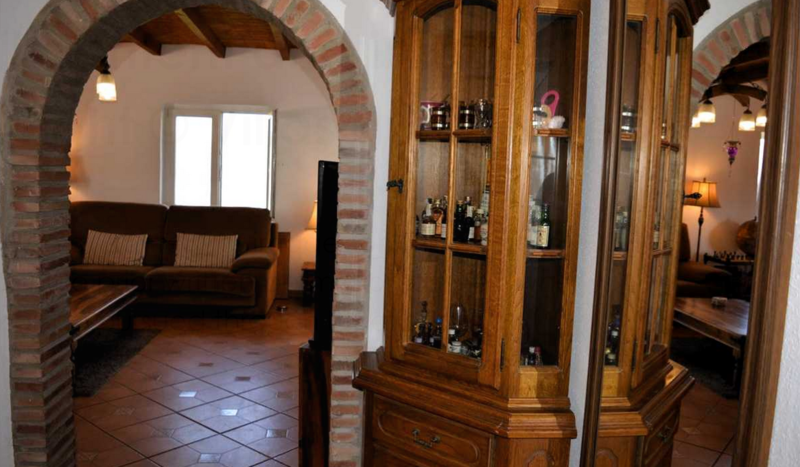 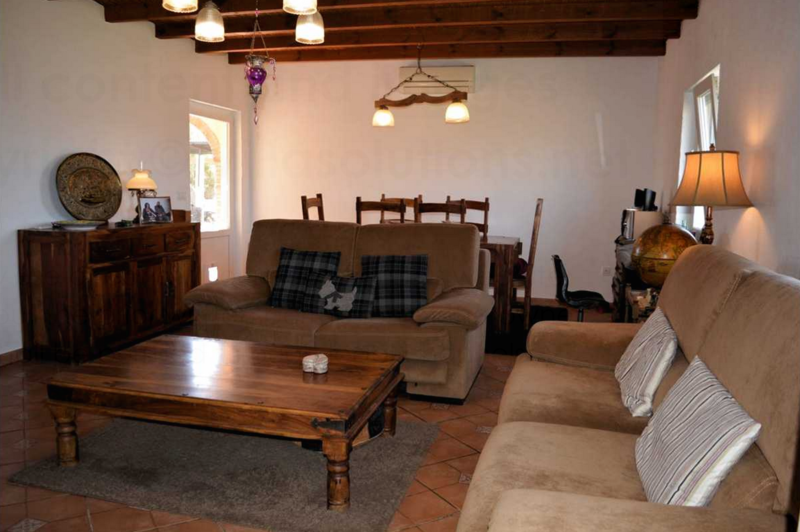 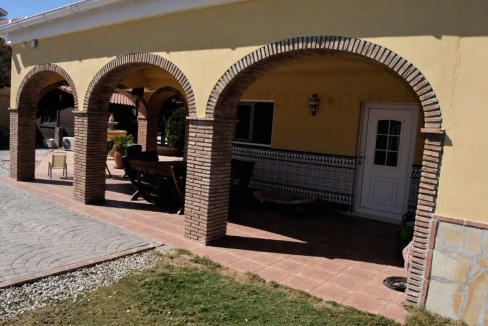 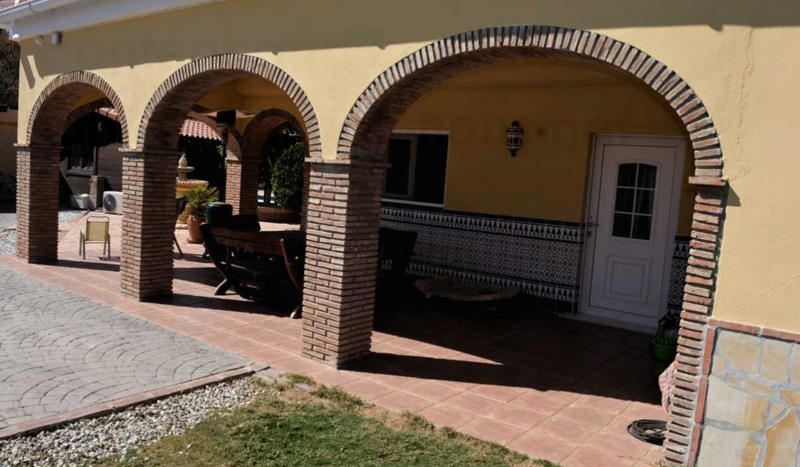 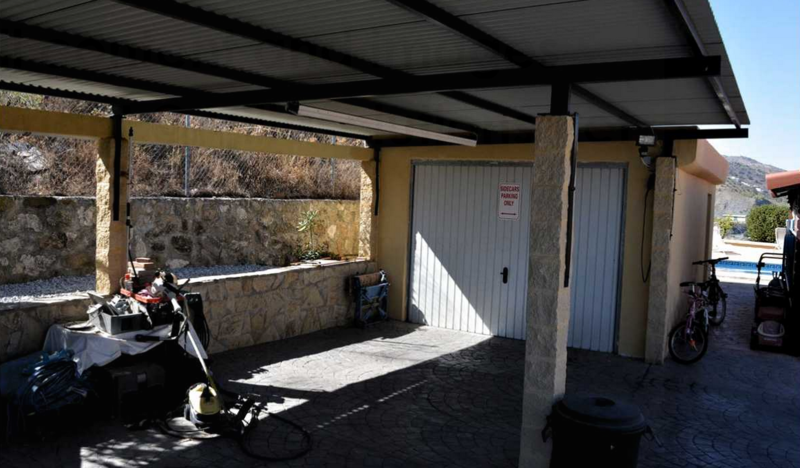 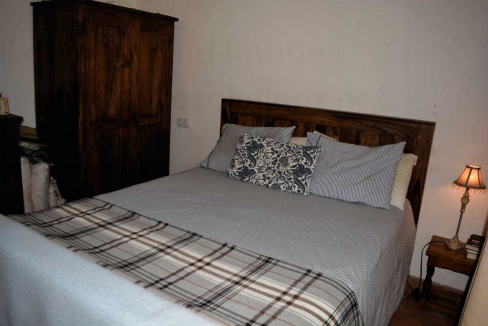 Situated in a plot of 4012 m2 with tarmac access directly off the main road. The plot itself is fully fenced and has electric gates. 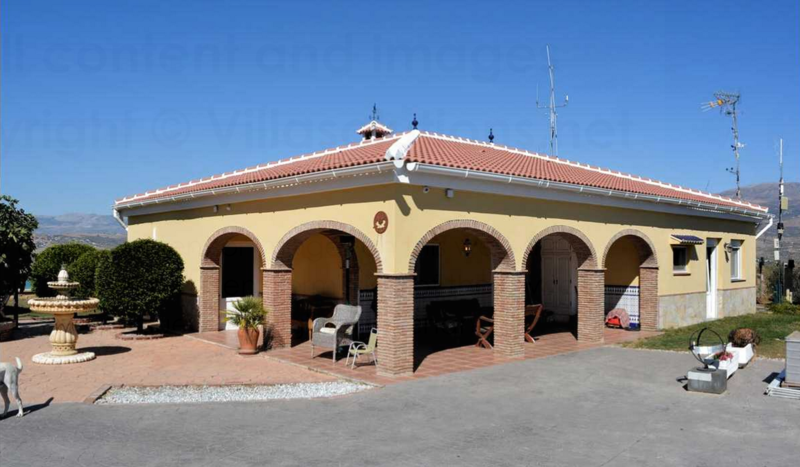 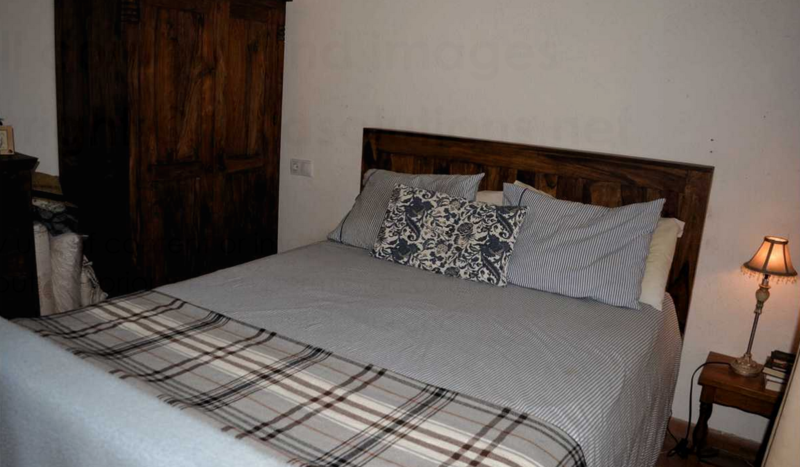 This Villa has larger than average rooms and consists of 3 bedrooms (master bedroom has air con), 1 bathroom with large bath and separate walk in shower. 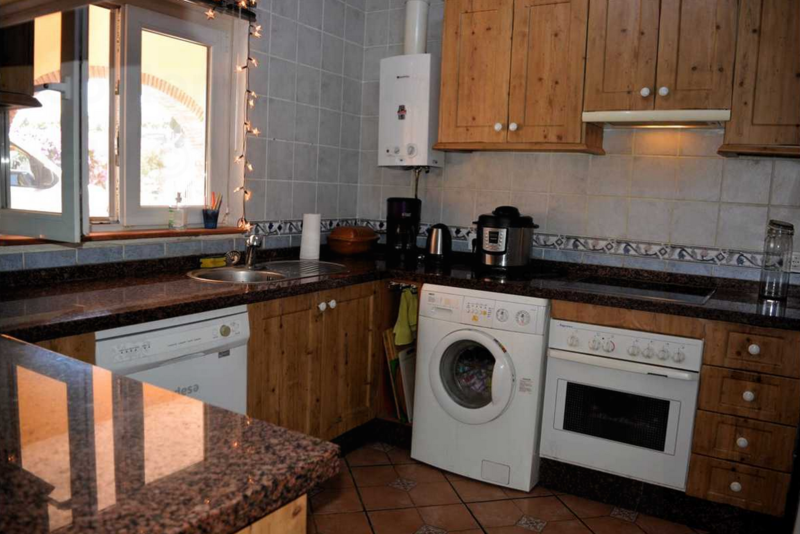 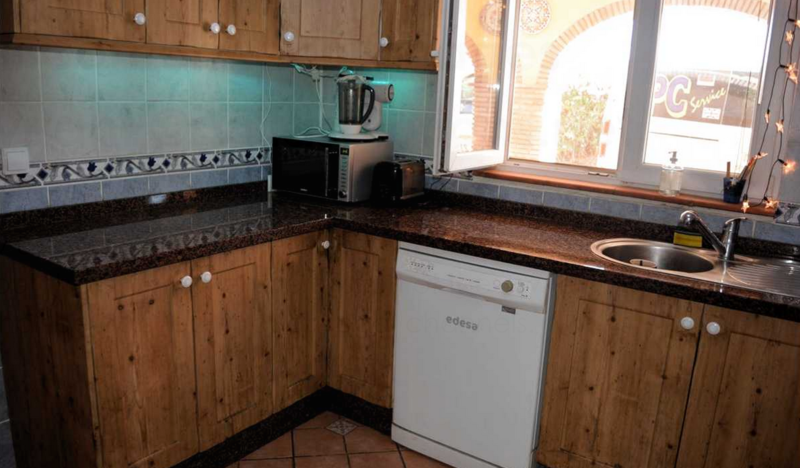 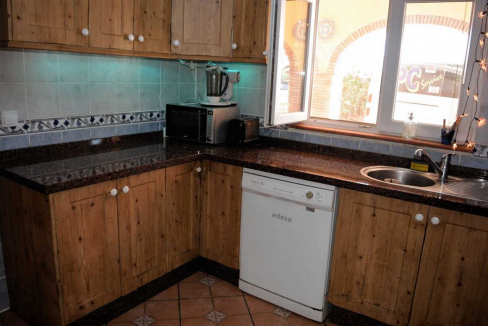 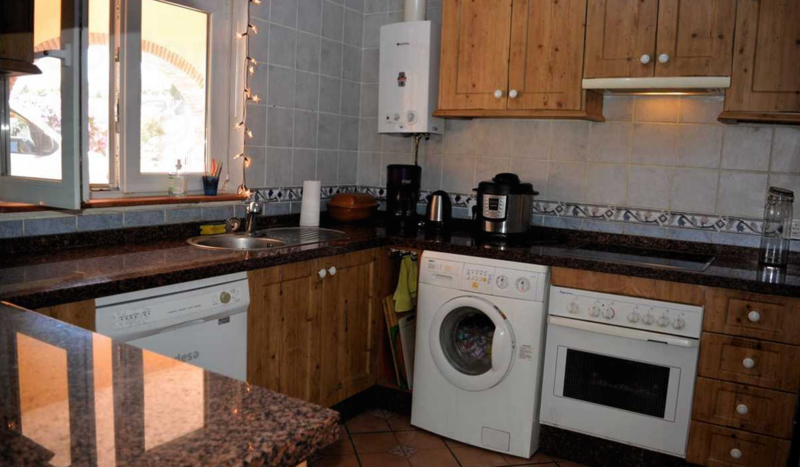 The fully fitted separate kitchen with electric hob and oven, microwave, fridge freezer and dishwasher. 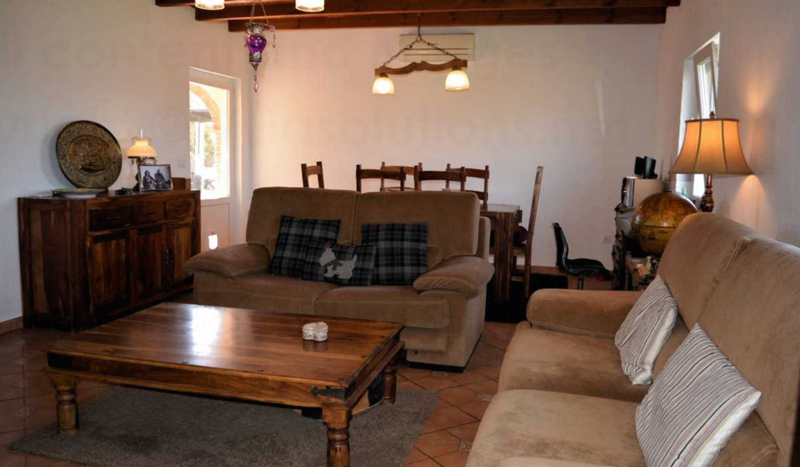 The large Lounge/Diner with air con and log burner has various large windows looking out over the lake. 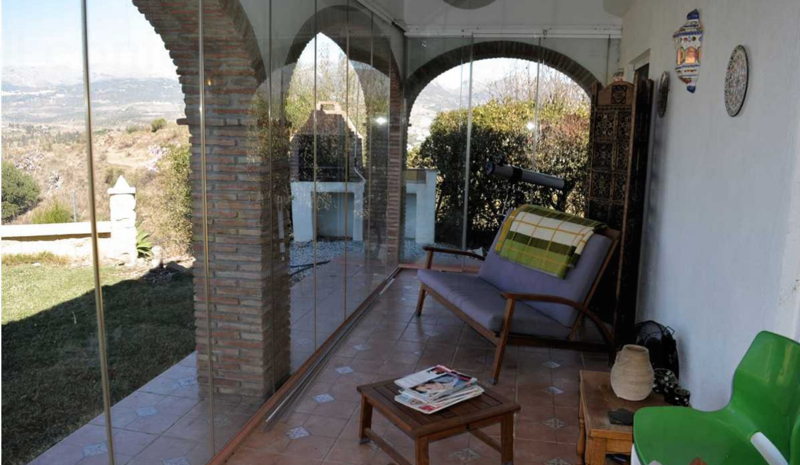 Outside there are many terraces however the largest terrace benefits from glass curtains which gives you an additional year round stunning place to utilize. 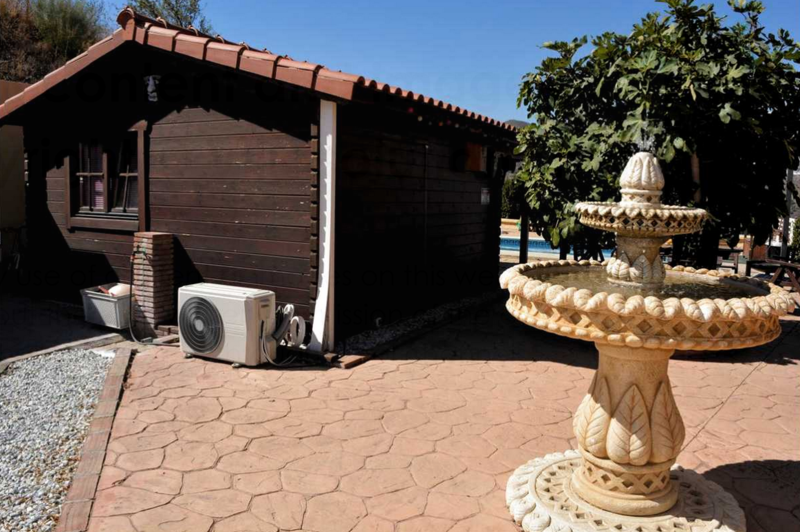 The property also has a separate garage and large swimming pool which has been designed to entertain with bar and built in BBQ. 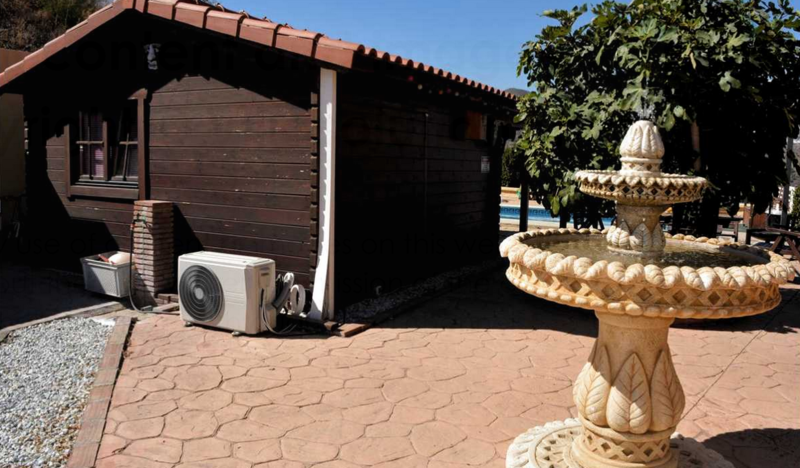 The landscaped easily maintained gardens have integrated irrigation system. 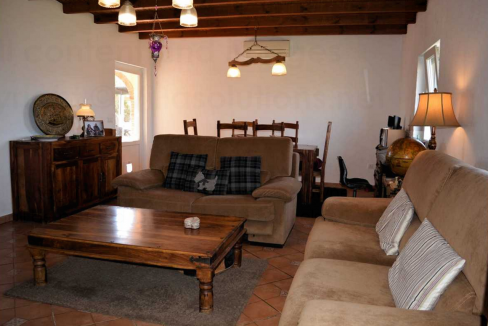 There is also a fully equipped log cabin outside and carport for numerous cars. 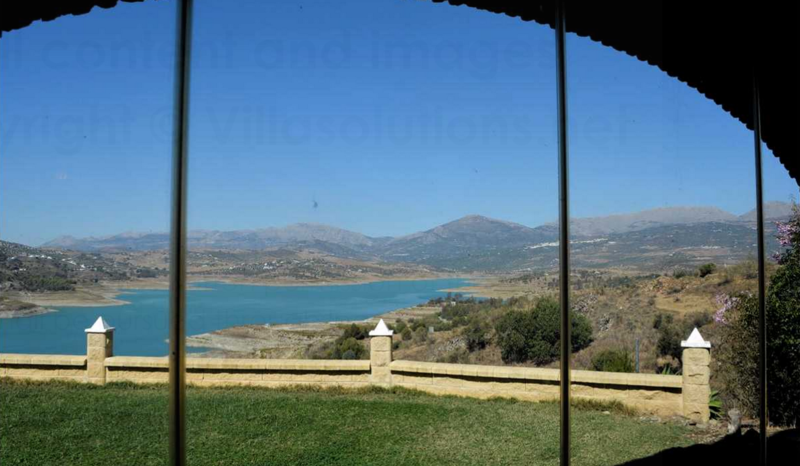 This villa needs to be viewed to fully appreciate the quality and finish along with the amazing views.